Professor Richard Garnett is professor of law at the University of Melbourne and a consultant to Herbert Smith Freehills. Andrew Walter is Assistant Secretary, Civil Law Unit, Australian Attorney General’s Department. They are both members of the Australian Government Delegation of Experts to the Hague Conference on Private International Law (Jurisdiction and Judgments Convention). Professor Garnett and Mr Walter will speak about the draft Hague Convention on Recognition and Enforcement of Foreign Judgments (the Draft Judgments Convention) and the Hague Convention on Choice of Court Agreements (the Choice of Courts Convention). The Draft Judgments Convention was presented to first special commission on the convention in the Hague in June 2016. The Choice of Court Convention entered into force on 1 October 2015 following approval by the European Union and the Australian Government is considering ratification of the convention. It aims to ensure that choice of court agreements between parties to international commercial transactions are effective. The seminar will be held in Melbourne with a video link to Sydney. It is directed to practitioners and law students, who would like to learn more about developments which aim to increase the effectiveness of transnational litigation. It will also provide an opportunity for potential applicants for the Peter Nygh Hague Conference Internship to learn more about the work of the Hague Conference on Private International Law. The Peter Nygh Hague Conference Internship is awarded each year to a graduate or post graduate student of an Australian law school by the ILA (AB) and the Australian Institute of International Affairs. In 2017 the 12th Peter Nygh Hague Conference Intern will travel to the Hague to undertake a 6 month internship with the Hague Conference on Private International Law. The Editors of the Melbourne Journal of International Law, Australia’s premier generalist international law journal, are now inviting submissions for volume 17(2). This issue will have a special focus on the legal implications of the Trans-Pacific Partnership, and space will also be available for articles on other issues of international law. For consideration for inclusion in the print issue of 17(2), authors should submit on or before July 1, 2016. Submissions and inquiries should be directed to law-mjil@unimelb.edu.au. For more information, please visit http://www.law.unimelb.edu.au/mjil#submissions. “The 77th Biennial Conference of the International Law Association, which is scheduled for 7 – 11 August 2016 in Johannesburg, will mark the second time only for a biennial conference to take place on the African continent in the almost 150 year history of the Association. Expectations are therefore high that the members of the historically dominant ILA constituencies in the North will attend the conference in substantial numbers in the interest of providing a platform for the establishment of a community of international law scholars that is more representative of the regions of the world than is currently the case. 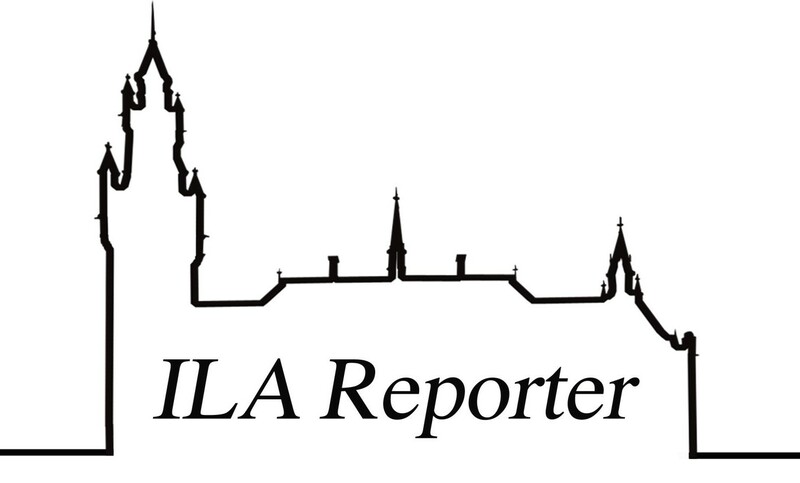 Apart from this imperative, and in addition to the reporting sessions of some thirty ILA committees and study groups, the programme offers parallel sessions on issues of regional and global interest and significance. These include the UN report on Africa’s illegal capital flight; harmonization efforts in international commercial law; BRICS in international law; the peace and security architecture of the African Union; automated weapon systems and international law; marine bio-diversity beyond areas of national jurisdiction; investor – state dispute resolution; nuclear weapons, non-proliferation and contemporary international law; the law of armed conflict in Africa; and international criminal law. Leisure options abound. Pre- and post-conference tours to the spectacular Victoria Falls and to Cape Town are available. In Johannesburg and surroundings delegates have the option to visit game farms, the Constitutional Court, the Apartheid museum, SOWETO and Liliesleaf Farm where senior members of the ANC were arrested in 1963 for plotting the overthrow of the Apartheid government. All members and subscribers are encouraged to attend this significant conference. To register, visit http://ila2016.com/index.php/register-now/. On 9 March 2016, the Andrew & Renata Kaldor Centre for International Refugee Law, the International Law Association (Australian Branch) and the UNSW Environmental Law Group will co-convene an expert panel discussion on International Law and Sea Level Rise: Human Rights, Displacement, Maritime Zones and Biodiversity. Professor Rosemary Rayfuse, UNSW: international environmental law and law of the sea. The event will be chaired by Christopher Ward SC, President of the Australian Branch of the International Law Association. The event will start at 1 pm and finish at 2 pm and will be held at the Law Staff Common Room, Level 2, Law Building UNSW (please see reception on Level 2 for directions). The event is free. To register pleaseclick here. On 15 February 2016, a reception was held in Sydney at the offices of Baker & McKenzie to mark the 10th anniversary of the Peter Nygh Hague Conference Internship and to present the 2016 Peter Nygh Hague Conference Internship to Ms Reyna Ge. The presentation was made by The Hon Michael Kirby AC CMG in the company of special guests Dr Willem Cosijn, Consul-General of the Netherlands, the Hon Mr Phillip Ruddock MP, Australia’s Special Envoy for Human Rights, Dr Christopher Ward SC, President of the ILA Australian Branch, Melissa Conley Tyler, National Executive Director of the Australian Institute of International Affairs, and Nicola Nygh, representing the family of the late Hon Dr Peter Nygh AM. Ms Ge is a recent graduate of the University of New South Wales, and will be the 11th Peter Nygh intern to be sent to the Hague Conference on Private International Law, where she will contribute to the work of the organisation on the development of a new multilateral treaty on the cross-border enforcement of civil and commercial judgments. The Peter Nygh Hague Conference Internship is an award in memory of Dr Nygh, a leading international lawyer, former judge of the Family Court of Australia and an Australian delegate to and rapporteur of the Hague Conference. In 2002, Dr Nygh was appointed a Member of the Order of Australia in part for service to international law, particularly through honorary assistance to the Hague Conference. The award provides a post-graduate student or graduate with the rare opportunity to travel to The Hague and work in the area of private international law. The ILA Australian Branch is proud to support the Peter Nygh Hague Conference Internship, together with the Australian Institute of International Affairs, and is delighted to join in celebrating this significant milestone and the 2016 award to Ms Ge. For more on the Peter Nygh Hague Conference Internship, click here. For more on the current work programme of the Hague Conference, click here. On Wednesday, 9 December 2015, the ILA (Australian Branch) is hosting an end of year function in Sydney. The event will feature presentations on the work of various international committees and study groups, as well as a talk by Dr Ralph Wilde entitled ‘Dilemmas Promoting Global Economic Justice through Human Rights Law’. Drinks and canapes will be provided. For details of this event, see this flyer. If you wish to attend, please register by email to secretary@ila.org.au. The ILA is pleased to announce presentations in Canberra and Sydney by Mr Philippe Lortie, First Secretary of the Hague Conference on Private International Law. The Hague Conference is a global inter-governmental organisation that works to achieve cross border co-operation in civil and commercial matters. Mr Lortie will speak about the current work of the Hague Conference as well as the Peter Nygh Hague Conference Internship, which is awarded each year to a graduate or post graduate student of an Australian law school by the ILA (AB) and the Australian Institute of International Affairs. 12.30 pm on 16 November 2015 at the offices of the Attorney-General’s Department, 4 National Circuit, Barton ACT. Please RSVP to the Secretary of the ILA at secretary@ila.org.au by Thursday, 12 November 2015. 6.00 pm for a 6.15 pm start on 19 November 2015 at Baker & McKenzie, Level 27, AMP Centre, 50 Bridge Street, Sydney NSW. Please RSVP to Patricia Kam (patricia.kam@bakermckenzie.com) by Monday 16 November 2015. The Global Economic Law Netowrk is holding a workship on Friday 13 November 2015 on the Trans-Pacific Parternship (TPP). At this one-day workship, following immediately after the expected release of the agreed treaty text in early November, experts will present their analysis of the TPP on key issues of interest to the legal profession and their clients. Tickets are $395 and places are limited. Please click here to register for this event. Should you have any questions, please contact Ms Vesna Stefanovski at vesnas@unimelb.edu.au. The ILA and the National Centre for Indigenous Studies are holding a seminar that will consider Indigenous policy in Australia set against Australia’s international human rights obligations. The event will be held from 5 – 7 pm on 30 October 2015 at the Hedley Bull Centre Lecture Theatre 1 at the Australian National University. The speakers are Professor Mick Dodson, Mr Greg Marks and Dr Sean Kerins. Enquiries may be made to tamai.heaton@anu.edu.au. The event flyer can be accessed here.